1985 is the year when in Farmec laboratories from Cluj Napoca began the story of one of the most successful Romanian line of cosmetic products: Gerovital Plant. The cream’s initial color was green, the formula of the products preserving the color of plants extracts from the Transylvanian spontaneous flora that were used to create it. In 2004 the line was modernized in trend with the natural cosmetics of those times: preservatives free and colorants free. With a formula designed for normal to combination skin, the line included the Biovegetal Complex which featured natural ingredients to stimulate skin’s capacity to generate new cells. 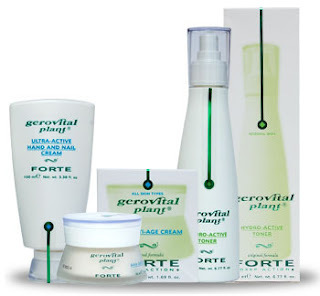 New discoveries in the cosmetic industry and new trends for products in complete harmony with nature and its wisdom were the concept behind the Gerovital Plant FORTE Line launched in 2008. Gerovital Plant FORTE was the more complete line addressing all types of skin (dry, normal, oily, sensitive and mature). The line also included body care products. This line’s products are rich in natural ingredients (over 90%), concentrated plant extracts (FORTE means force, power), essential oils and fats, vitamins, new generation of active ingredients to fight aging and confer skin moisture, nourishment, firm and youthful appearance. The line had been discontinued in 2013. 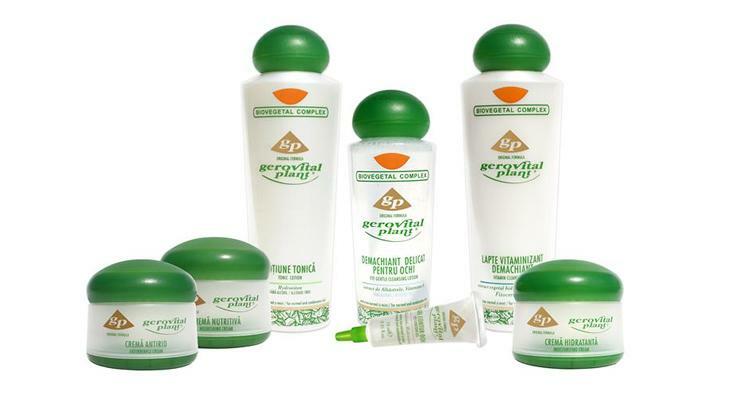 The Gerovital Plant Stop Acne line represents a complete solution for the acne affected complexions. The anti-acne daily regimen approved by dermatologists demonstated a decrease of the acne symptoms up to 83% after 4 weeks. Cleanse with Gerovital Plant Stop Acne – Purifying Foaming Gel. Tone with Gerovital Plant Stop Acne – Purifying Antiseptic Lotion. 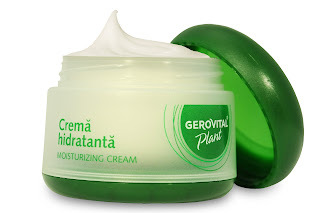 Adjust sebum with Gerovital Plant Stop Acne – Purifying Sebum Control Cream. Hide and remove red spots with Gerovital Plant Stop Acne – Purifying Corrector Stick. Treat acne spots with Gerovital Plant Stop Acne – Ultra-ActiveCream. This effective skincare program features powerful active ingredients that calm acne flare-ups and free skin of further bacteria buildup. Lactic Acid: helps cleansing by exfoliating the outer layer of skin, helping to reveal a softer, younger looking complexion. Irgasan® DP 300: is an effective and safe antimicrobial ingredient with long-term effect. Controls the growth of potentially harmful bacteria. Zinc oxide: regulates sebum secretion, soothe, comfort, and calm skin. Has astringent and anti-microbial properties speeding up the healing process. Sulphur: has anti-bacterial, anti-fungal and antiseptic properties. 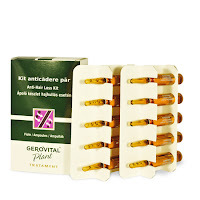 Boswellia Serrata Extract: soothes, regenerates and prevents skin irritation. Marigold: has soothing, calming and regenerating properties, helps in premature aging prevention. 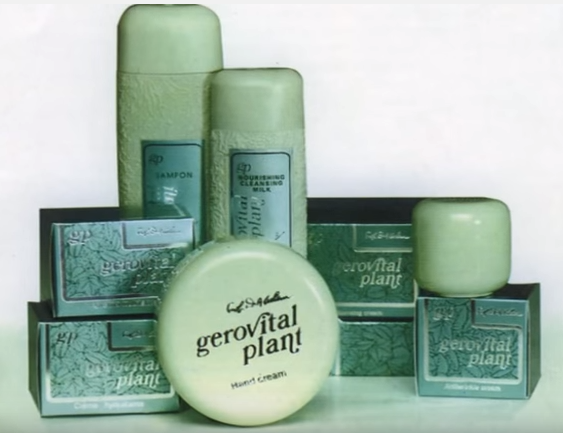 Launched in 2010, Gerovital Plant Treatment line of products was at the edge between hair beauty cosmetic products and pharmaceutical products. In 2015 the line Georovital Plant Treatment hair line got a makeover, turning intog GerovitalTreatment Expert. 2011 was the year of great changes for Gerovital Plant. The new line of products follows the eco trends as it is 100% preservatives free, parabens free, and it was designed using a recipe that combines the Herbatonic Complex rich in Transylvanian plants with the Bio Edelweiss Extract obtained from organic cultures in the Swiss Alps. The Herbatonic Complex contains sugars, uronic acids, mucilages, flavonoids, triterpenic saponins, mineral salts, having a significant contribution in moisturizing, nourishing and remineralizing the skin. The laboratory results for the new Gerovital Plant formula have been spectacular: the Edelweiss Extract – extract eco-certified in France combined with the Herbatonic Complex made of plants from the spontaneous flora gave over 20 minerals, 10 vitamins and more than 13 oligo-elements which have created the ideal combination for a regenerated, beautiful skin. Great St, John’s Wort: full of powerful flavonoids, it helps protect, soothe, and heal skin, while providing anti-acne and anti-inflammatory benefits. Mallow: chosen for moisturizing and emolliating) gave over 20 minerals, 10 vitamins and more than 13 oligo-elements which have created the ideal combination for a regenerated, beautiful skin. Cornflowers extract fights against dark circles and bags under the eyes. Gerovital Plant line ensures good tolerance and compatibility with the skin. 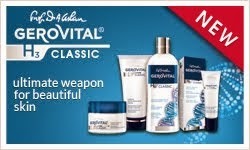 Like the former Gerovital Plant line, it is the perfect companion for skin’s needs at 25-40 years old.